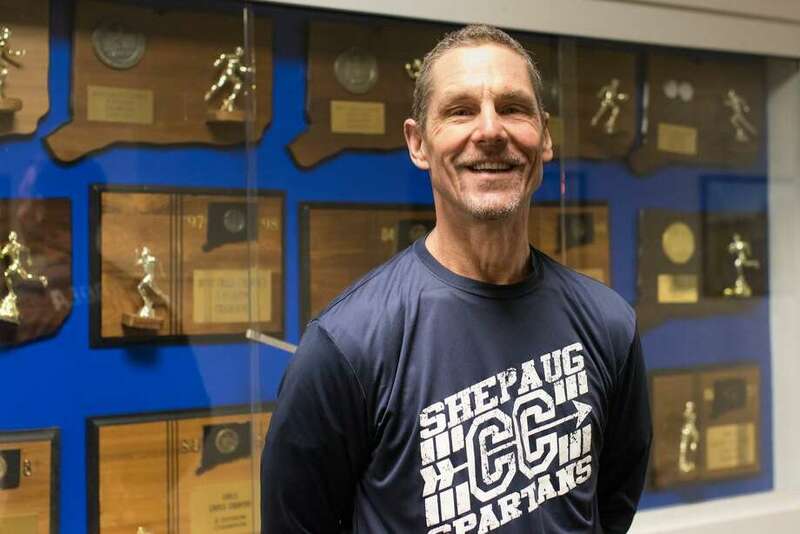 Longtime Shepaug cross country coach Tom Scarola will be honored as Connecticut’s Outstanding Boys Cross Country Coach of the Year. The recognition for the Spartan standout coach will take place during the CT High School Coaches Association’s annual dinner on May 10 at the Aqua Turf Club in Southington. Scarola coached the Shepaug girls cross country team during the 1995 season. He then took over the boys cross country team from the 1996 season through the 2016 season. During that time, Shepaug won six Berkshire League Championships (1996-1998, 2003, 2010, and 2015) and a whopping nine Class S State Championships (1997-1999, 2002-2004, 2010, 2014 and 2015). “Coach Scarola coached many, many Berkshire League All-Stars and All-State runners, and in addition to being one of the most successful coaches in Shepaug history, is one of the most beloved and respected by his team members,” said Shepaug athletic director Matt Perachi. Tickets for the dinner event are $46 per person, and will be available until April 23. Anyone with questions can contact Matt Perachi at perachim@region-12.org. Scarola said he is thankful for the time he was able to spend with the athletes at Shepaug and to compete in the Berkshire League.